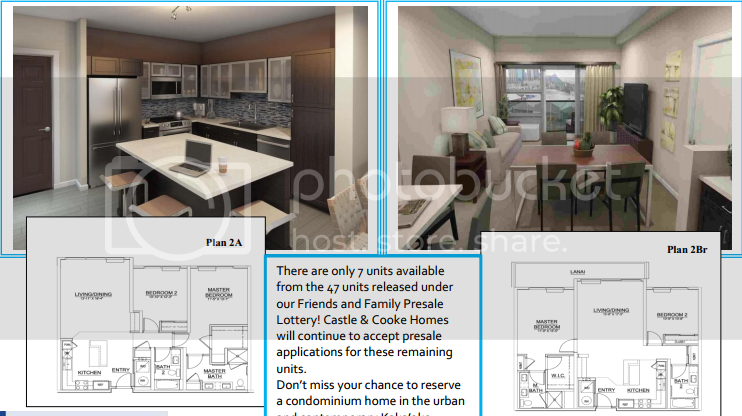 A low rise building that will have 95 units in total ranging from 1 to 3 bedroom units. If you are interested please contact us today for a private showing. 709 SF 大小，一房的跟来一个车位，2房的2个车位 side by side parking） 45万美金起. Keauhou Place will feature 388 residential units in a 400-foot high-rise building, along with a mix of 35 townhouse units in a 42-foot mid-rise tower, as well as 2,854 square feet of ground-floor commercial space, 13,000 square feet of open space and 31,400 square feet of recreation space. 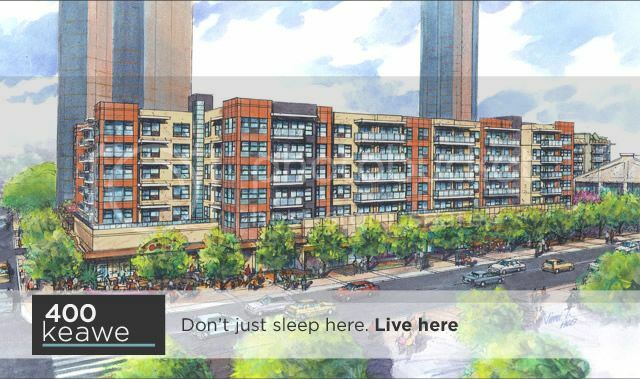 20% of the units are anticipated to be Reserve Housing units. Running through the middle of the site is Keauhou Lane, a pedestrian retail/dining lane that hopes to be a focal point of the neighborhood. It's named after a historical Hawaiian lane that once ran through the property meaning "New Era". Sales and construction are expected to begin in 2014. HCDA approved the project on 5/1/14.